At least 32 people are reported dead in a crash of a Turkish cargo plane near the airport in the Kyrgyz capital, Bishkek, as Radio Free Europe reports. Many of those killed were residents of a village where the plane crashed. Many others are reported injured. Kyrgyz officials said the Boeing 747 cargo plane went down several kilometers away from Manas International Airport early on January 16. 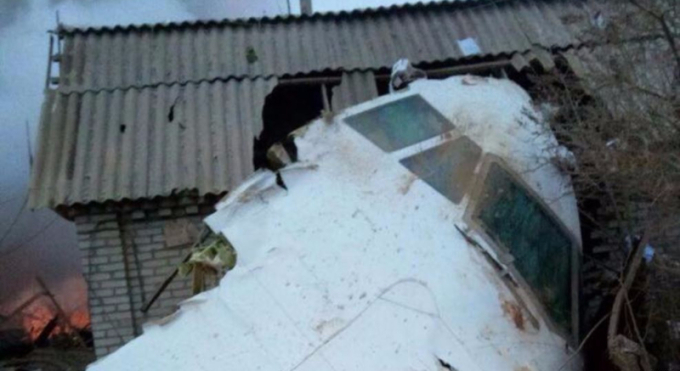 Government spokeswoman Tolgonai Stamaliyeva said the plane – which was en route from Hong Kong to Istanbul – was going to land at Manas airport to refuel and crashed in a populated area, damaging some 20 houses. The area where the plane crashed was reported foggy. Efforts are under way to extinguish fires caused by the crash. Airport officials said there were an unknown number of crew aboard the plane but no passengers. Kyrgyz First Deputy Prime Minister Mukhammetkaly Abulgaziev and Emergencies Minister Kubatbek Boronov are at the crash scene.